This Skoda Octavia is totally original except for the fluids, battery, and tires. It has a mere 2,384 miles on it. A Czechoslovakian couple moved to Brooklyn and opened a restaurant. The business did pretty well, and in the 1960s they wanted to buy a car from their home country. There just happened to be a Skoda dealer in Brooklyn so they bought two cars - one for the husband, and one for the wife. The husband drove his car more as it had 10,000 miles on it. The couple passed away, the family sold the building, and the cars went to a company that specialized in muscle cars. The husband's car sold on eBay in 2007. Although Robert Poprawski was interested in the car, he forgot when the auction ended and missed out on the bidding. Upon contacting the muscle car dealer about the Skoda, he was told they had another one, but it did not run. Robert said he would take it. After installing a new battery and changing all the fluids, along with a brake job, the car started right up and ran beautifully. Skoda has been making cars for more than 100 years. 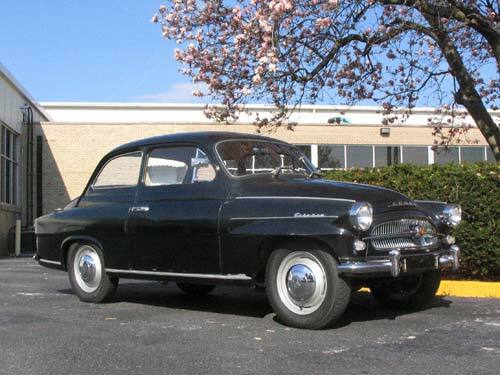 The Skoda Octavia was the popular family sedan of the 1950s and 60s. It was a slightly updated version of the Skoda 440.